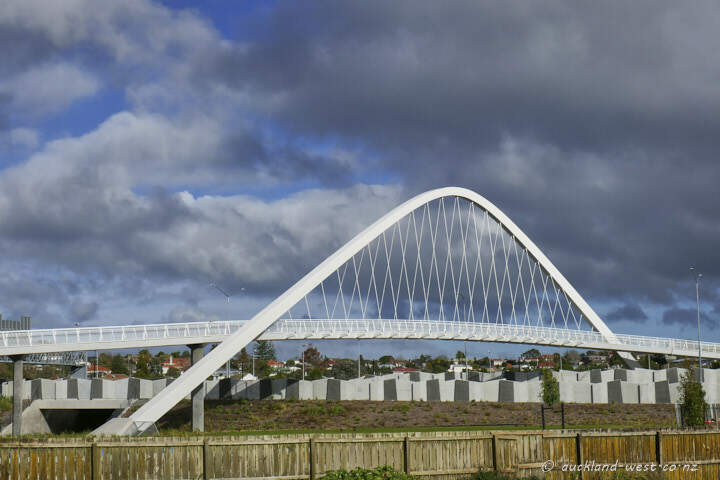 Te Whitinga (The Crossing) is the name of this new bridge for pedestrians and cyclists. It connects Kukuwai Park and Alan Wood Reserve and will be opened soon. It spans State Highway 20 and the Oakley Creek. We showed different views at earlier stages of construction here and here.